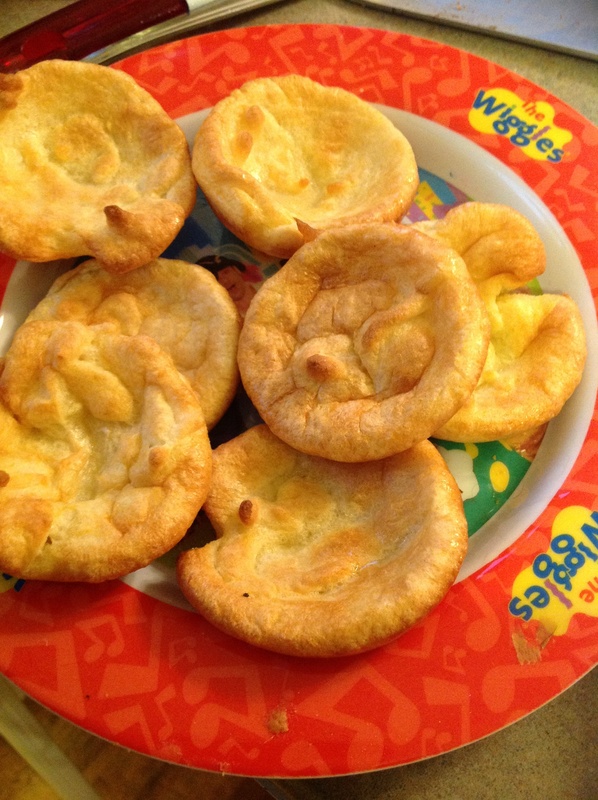 Dairy Free Yorkshire Pudding | Have kids, they said. It'll be fun, they said. I am not a fan of soy milk. I guess it’s fair to say I’m not really a fan of regular milk either, but I find soy milk tastes a bit peculiar. Having a dairy free little lass means that we are trying more and more soy products. BabyGirl had a soy Fluffy today at the coffee shop (for those unfamiliar, a Fluffy is a little milk drink that kids get when Mums and Dads get coffees. Very cute. Comes with marshmallows and, if you are lucky, a chocolate fish!) and she was not a fan at all. Luckily her little buddy was on hand to drink it! Refer Day #5, the recipe is identical except today I used Topside beef instead of Rump. 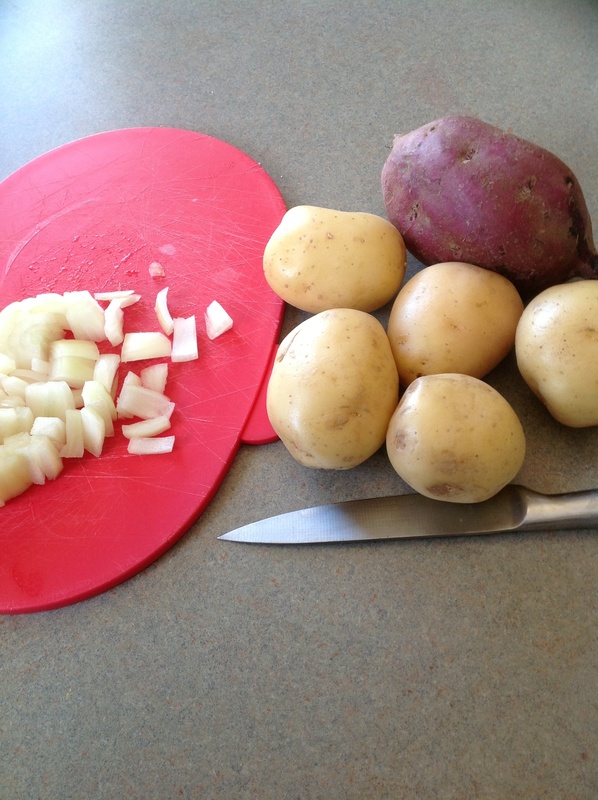 And, I added in kumara. Because, yum. In a cupcake tray/patty pan thingamee (highly technical term), fill each little hole with about 5mm of oil. Preheat the oven to 220C and when oven is hot, put the tray in. Heat the oil for 5 minutes. 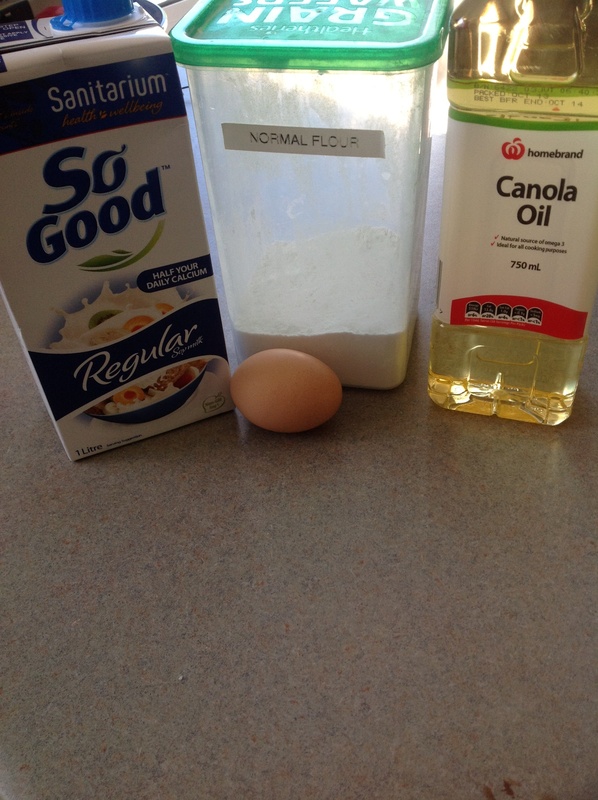 In that time, whisk the ingredients together in a bowl to form a thickish batter. Once 5 minutes has passed, add the batter into the trays and cook until risen (about 15 minutes). Yum. Win x 1,000,000. This roast was long awaited (due to my meeting taking longer than planned, poor Mr T waited very patiently for me to come home!) and well worth the wait. 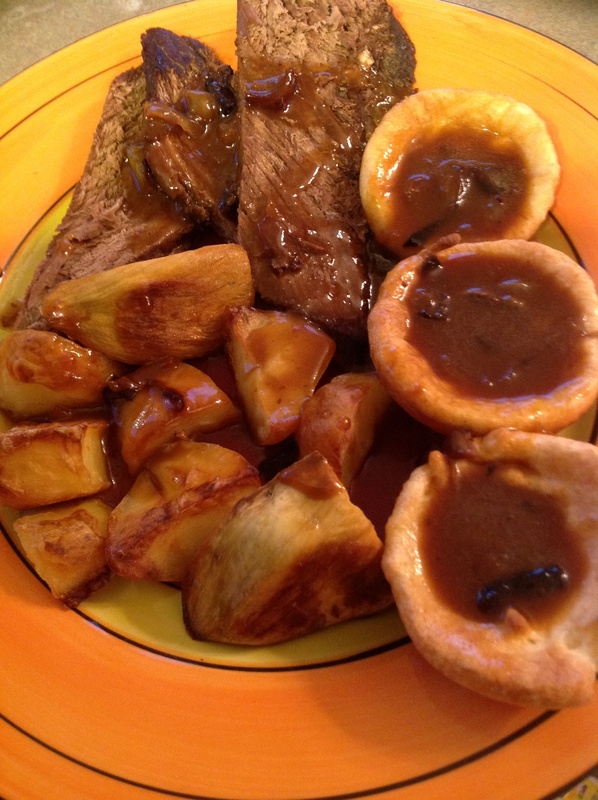 To quote Mr T, “that meat was exceptional, the potatoes and kumara were splendid, the gravy was awesome and the yorkshire puddings were to die for. Did I mention the meat?”. So, there you go. And, there are leftovers. Although, I do admit when looking at that picture, the meal was lacking anything of colour! I seem to have forgotten the peas and carrots. Oh well. YOLO.